Kurrajong Kitchen have great respect for the wine industry. Sponsoring the ‘Best Food and Wine Matching’ category in the Australian Wine List of the year awards is an integral part of Kurrajong Kitchen. 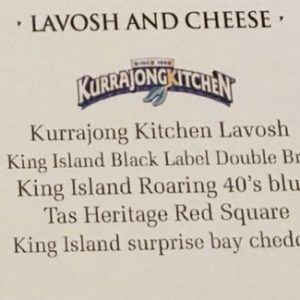 It was lovely to see Kurrajong Kitchen #cheeseandLavosh available for people to enjoy while sipping on their wine. Congratulations to ‘Provenance’ in Beechworth Victoria who won our category.